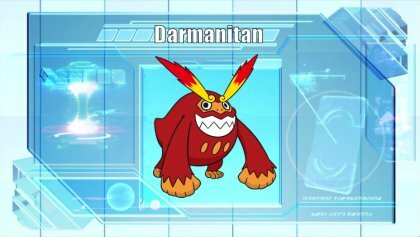 Darmanitan, The Blazing Pokémon. Its internal fire burns at 2,500° F, making enough power that it can destroy a dump truck with one punch. When weakened in battle, it transforms into a stone statue. Then it sharpens its mind and fights on mentally. Darmanitan is a powerful wall breaker that really shows a lot of the stat and design state of Black and White, that being high power but often low defenses. Darmanitan had been an immensely powerful threat in the lower tiers since its release and has held up quite well, still doing the same job as a revenge killer or sweeper based on the state of the game and probably will for a few more generations. That's really all there is to say about Darmanitan though, it hits hard and dies quick and there's nothing in between. Offensive Stats - 140 base Attack backed with Sheer Force means not much can stomach hits from Darmanitan, Flare Blitz 2HKOs Hippowdon for example. This means that once Darmanitan is in something is probably dying which is a huge selling point. Darmanitan's 95 base Speed means is also not particularly slow, but it does lose to other Scarf uses such as Hydreigon so it's not perfect. 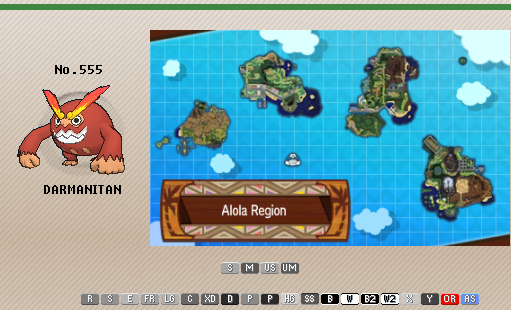 Defenses - Darmanitan has garbage defenses meaning even with its 105 base health it will crumple like wet paper. This is compounded with Darmanitan's dependence on Flare Blitz shortening its life span further, on top of a weakness to Stealth Rock. It's unlikely that Darmanitan is getting more than a few hits in each game before going down. Movepool - Darmanitan has a shallow movepool and while its enough to get the job done, it is very predictable and rigid. This is an issue when there's competition with Talonflame, who can boost with Swords Dance or Bulk Up, or Infernape who has amazing coverage and flexibility for a loss of power. Sheer Force - Moves with secondary effects have them removed but gain a *1.3 damage multiplier - This is just an amazing ability and there's not much incentive to run another with Sheer Force as an option. Zen Mode - When Darmanitan's HP drops to ½ or below it changes to Zen Mode. If Darmanitans health goes back above ½ its form reverts. - The idea is cool but the part that makes it bad is that Darmanitan changes back if it heals. In combination with the massive stat change from Physical attacker to Special attacking tank, this prevents Zen Mode from being useful. Flare Blitz is the main move of the set getting a boost from Sheer Force on top of STAB, which means that it is pretty safe to click it aside from the nasty recoil. Rock Slide is strong coverage that gives up the flinch chance for a very consistent power boost, and combos with Earthquake for neutral coverage. The Sheer Force boost puts it close to Stone Edge in terms of power without the shaky 80 accuracy. Finally U-Turn allows Darmanitan to scout and build pressure while saving health for mid game, which takes advantage of the insane offensive pressure it has when it comes in. There's not much to say about the EV spread and item, but Choice Scarf allows Darmanitan to function as a powerful revenge killer capable of cleaning up effectively late-game. Darmanitan's offensive stats are the only thing that matters, and a Jolly nature is taken to outspeed as many foes as possible since base 95 is in a very crowded Speed range as it is. Life Orb - Seeing as Life Orbs recoil is negated on a Sheer Force boosted move, this can make Darmanitan a huge threat and pick up some OHKOs with Spikes up. 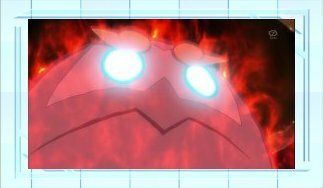 However, it puts Darmanitan on a clock with another recoil when using other moves and makes it more prone to being revenge killed. Choice Band - Similar to Life Orb but minus the recoil, Darmanitan just OHKOes non bulky threats with Flare Blitz but is much easier to kill as it lacks Speed. Physical Sweepers - As Darmanitan can deal huge chunks of damage with every hit, physical sweepers like having it around to stack up the offense. Haxorus is a strong option as giving up Swords Dance for Dragon Dance/other coverage is really helpful, while Mega Aerodactyl likes its checks being weakened and can provide Stealth Rock support to aid both of them. Volt Switch - While aiming to synergize for the team, a Volt Switch user can help maintain pressure as well as create easy space for a sweeper to get in. Mega Manectric is one of the best in Darmanitan's usual power level, and can run Hidden Power Grass to remove Swampert who is an issue for Darmanitan and Mega Manectric. Zeraora is also a solid option with its strong mixed coverage so it can also abuse the holes Darmanitan puts in the foe's team. Bulky Waters - Darmanitan has no real way of handling bulky waters, and as most have a way to recover, they are safe answers to Darmanitan. Milotic is the flagship bulky water but more offensively Suicune and Swampert are strong options. However, they are dependent on Rest to heal and might struggle if they get worn down too quickly. Residual Damage - With Flare Blitz being Darmanitan's main move, other forms of residual damage become a big issue. Stealth Rock is the worst as Darmanitan loses ¼ its health switching into them which is basically 1 Flare Blitz worth in recoil. Sandstorm is another big issue as balanced sand is strong and some teams just have Hippowdon or Tyranitar as is. 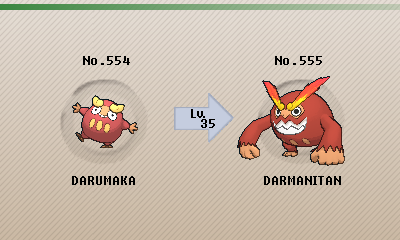 Lastly, Darmanitan is vulnerable to Spikes unlike other common U-Turn users such as Hydreigon, so Darmanitan is very easy to wear down. Trade from Omega Ruby & Alpha Sapphire. Darmanitan has made a few appearances in the anime. Most notably, Burgundy used one during the Junior Cup in Unova.